Kid Ultra started off as a weaponless machine armed with cartoon and comics knowledge designed to entertain children. Since that's pretty much useless in a fight, Nova and Kleese outfitted him with actual weapons, transforming him from a really good makebeliever to an actual comic book style hero. That's all well and good for the Kid, but how about for us, the people who want to shoot stuff with him? Kid Ultra can aid other heroes by buffing or healing them with his kit. He also has some support weapons that pacify enemies so others can take them out, making him a good choice for people actually interested in playing cooperatively. Rocket Gauntlet - Packed with six quick-fire rockets that detonate on impact. Rocket Vortext - Fire up to three rockets in a tight spiral. Support Drone - A healing drone that follows a target ally, temporarily increasing their maximum health and healing them over time. Bola Snare - Fire bolas that pass through units and slow enemies in its path. (Ultimate) To The Rescue - Activate to enter hover-mode and increase mobility. Deactivate to exit hover-mode, provide a burst of health to yourself and nearly allies, and push back enemies. (Passive) Aura of Justice - Participating in kills boosts nearly allies' damage for a limited time. 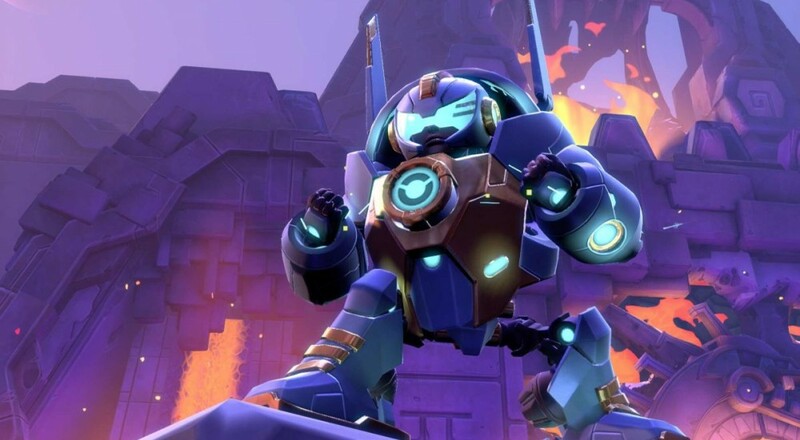 Kid Ultra is currently available to Battleborn Season Pass and Deluxe Edition owners. Base players can purchase him 47,500 in-game credits.